Space Organizer 02 is a renewal project for an attic with top roof terrace nearby Poetto Beach in Cagliari, a great location with a fascinating view across the gulf, the Molentargius Park and the city skyline. The two-fold project focused on the reorganization of the 62 sqm living area with a new multi-functional layout to enhance the enjoyment of the panoramic views, and on the development of a new installation to transform the large top-roof terrace into an exotic leisure space. 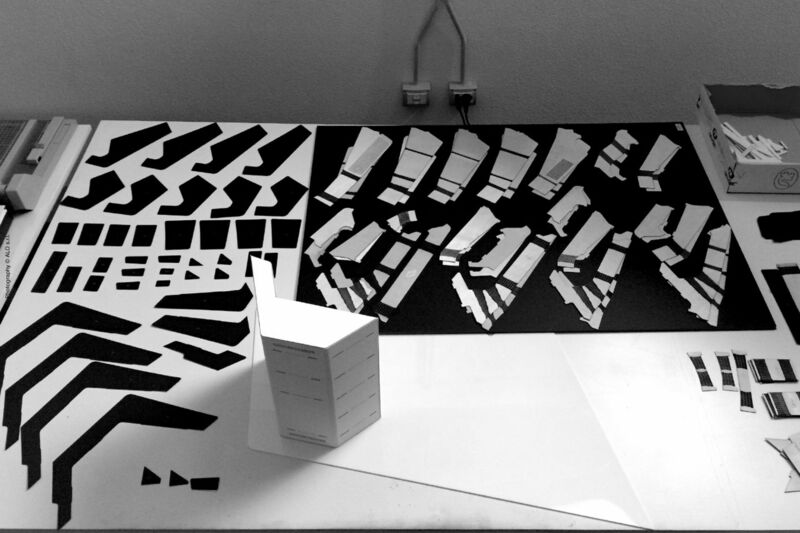 The Space Organizer series defines a territory of design-research that focuses on the design of hybrid interventions for residential spaces with the aim of fading the common programmatic and physical segregation between space, structure, and furniture. On this path, the project has found its topological origins in the parametric analysis of the existing context by identifying four areas of analysis: the viewing angles over the gulf and the city, the level of privacy, the structural elements that intersect the space and natural lighting. The analysis has provided operational diagrams that have been then transformed into a generative system informed by endogenous factors. The inductive approach has led to the formation of an architectural element that provides unexpected opportunities for the occupation of the living area. The body consists of full height opaque solid volumes which occupy the areas with the lowest level of privacy, and porous regions which permit the passage of light but operate as a filter. At the same time, the articulated structure induces to take advantage of all those spaces that provide perspective on the gulf free from interferences and always with a limited perception of the closest surrounding buildings. The wood has been the key player within this intervention. In particular, the behavioural and structural quality of the birch plywood, along with the study of an advanced digital fabrication protocol, which allows to bend planar elements in space while still providing the structural strength and durability, have provided the opportunity to develop a system where opaque and porous elements interact creating a structural, multi-functional and spatially articulated membrane. As a result of the integral process, the shape of the membrane is the expression of a negotiation between the generative aspects, the natural behaviour of the material and the possibilities offered by the digital manufacturing process. 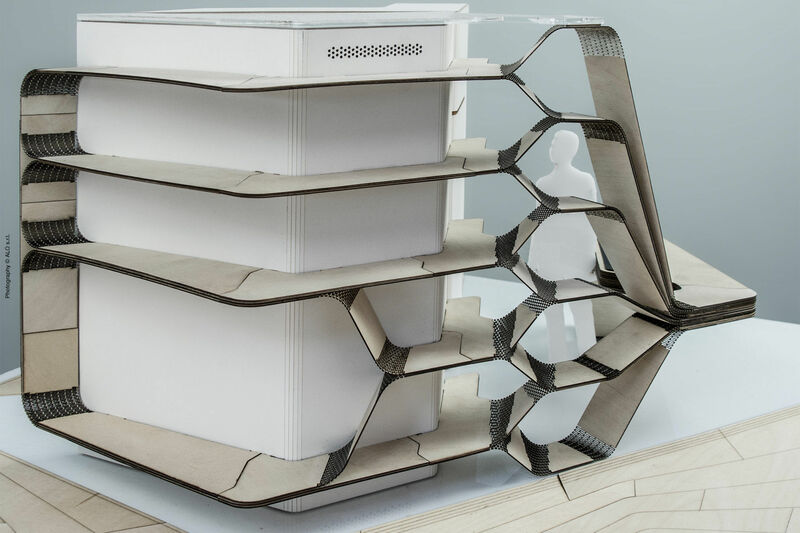 The entire project was developed through parametric design strategies that allowed to precisely calibrate the system according to the real physical constraints and performance of the material. 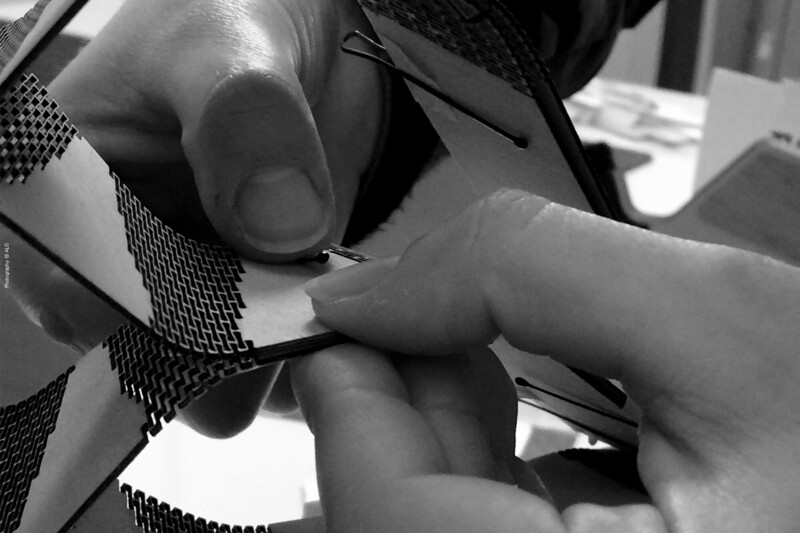 Within this advanced process of design-research the scalable production of accurate, digitally fabricated physical prototypes lead the entire design process. The intervention is completed by a custom floor combining epoxy resins with the birch plywood and operates as an element of transition between the existing structures and the new body. From a functional point of view, the porous membrane of the Space Organizer 02 enhances the optimal natural lighting of the living area while it provides the functionality of a wall system and defines the space for the peninsula kitchen with built-in appliances and all equipment to be fully functional. The body with all its extensions organizes the living area in three closely interrelated areas: living room, dining room and study area, all with different perspectives on the surrounding landscape. At first glance, the fascinating view on the gulf certainly captures all the attention, but the computational analysis of the incidence of winds, solar radiation and projected shadows during the year, along with considerations about privacy and structural aspects provided important design inputs. The data developed through a computational environmental analysis informed the spatial parametric formation of a differential landscape. Hence the project has developed into a complex body consisting of wooden platforms with multiple levels each with a specific program: the Private garden, the Solarium with a custom Jacuzzi, the Belvedere with an exotic view of the gulf, a Living area equipped with a small kitchen and a BBQ area. The arrangement allows exploiting the terrace during each season, during the day as well as during the night. In this regard, a fibre optic and LED lighting system have been fully integrated into the design of the landscape so that light becomes an instrument to emphasize its spatial articulation while providing subtle ambient lighting. Several features have been provided to ensure durability, comfort and easy maintenance of the structures. Among these, wooden surfaces are waterproofed with nanotechnological products, an automatic irrigation system is provided as well as an integrated mist system for cooling during summer.